Ohio University Press, 9780821416129, 61pp. The Optimist stares at contemporary darkness visible, a darkly lit tableau that erases the boundary between the world and the perceiving self. 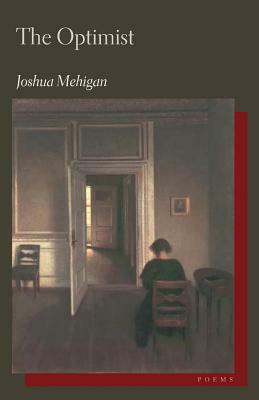 Whether narrative or lyric, dramatic or satirical, Mehigan’s poems explore death, desire, and change with a mixture of reason and compassion. Joshua Mehigan was born in upstate New York in 1969. Since 1993 he has lived in New York City and worked as an editor and English teacher. Published in many journals, including the Chattahoochee Review, Dogwood, The Formalist, Pequod, Ploughshares, Poetry, The Sewanee Review, and Verse, his poems and translations are also forthcoming in anthologies from Word Press and Zoo Press. His poems have won the Dogwood Poetry Contest and been nominated for a Pushcart Prize.